This fabulous 3 bedroom, 3 bath ocean view villa is located in building 2 on the second floor at the SeaCrest Resort. Enjoy two private balconies with ocean views. There is so much charm in this villa you feel like you're in a beach cottage. The fully equipped kitchen has a breakfast bar for three and opens to the dining area that seats six. There are 3 bedrooms in this villa each bedroom with a large walk-in closet and a private bath. Each bathroom boasts a walk-in shower, garden tub, and double vanity. This villa is perfect for multiple couples or a family. The prime location offers something for everyone in your group. 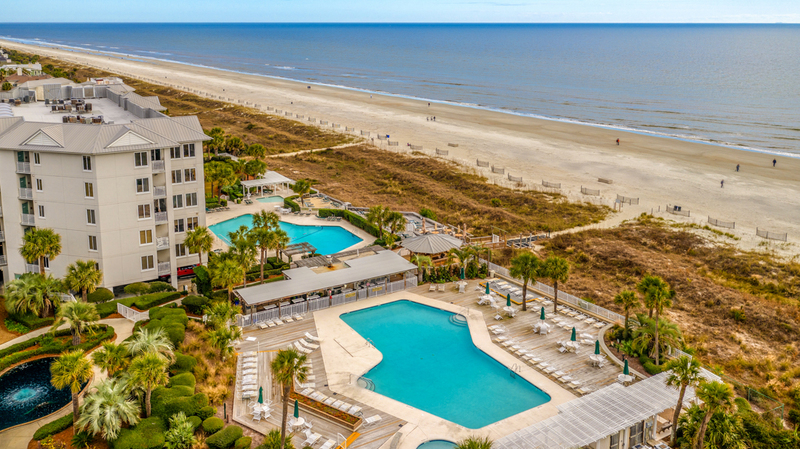 The SeaCrest Resort is in the Coligny Beach area of Hilton Head Island with dining, shopping, and entertainment all within walking distance. There are many activities available in the area, but most importantly the wide, sandy beaches are just at your doorstep. •	Parking passes will be on the kitchen counter upon your arrival.